We are presenting a selection of works by Zofia Stryjeńska from the collection of the National Museum in Krakow. The technique involving water-based paint on paper (gouache, watercolour), practised by the artist since her earliest days, was perfected by Stryjeńska in the 1920s. The series 'Seven Sacraments', painted in 1922, dates back to this very period of her artistic activity, considered to be the best in terms of painting. The cycle has been the property of the artist's family since that time. It only became famous after it was awarded the silver medal at the exhibition of Religious Art in Padua in 1931. 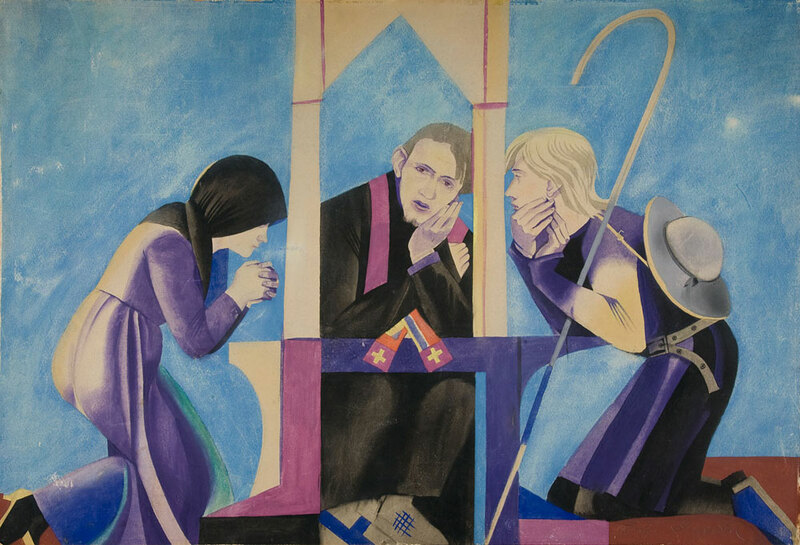 The series was later frequently exhibited and became the most famous religious cycle by the artist, next to 'Passover' (1917 – 1918, the National Museum in Warsaw). It is unknown what happened to the series after World War II, although individual paintings began to appear on the antiquarian market. The National Museum in Krakow managed to purchase three compositions depicting 'Baptism', 'Confession' and 'Viaticum' or the 'Last Rites'. 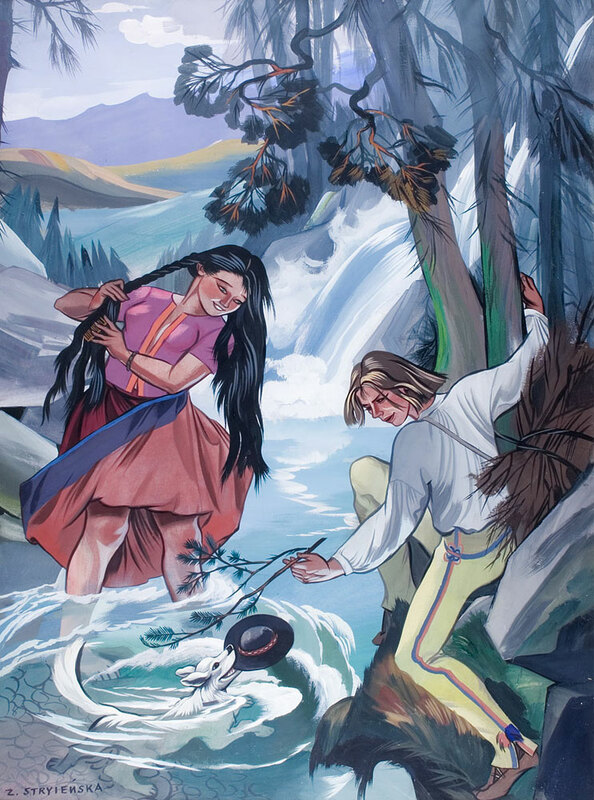 The remaining paintings presented in this gallery date back to the 1930s and constitute perfect examples of Stryjeńska's art from that period. 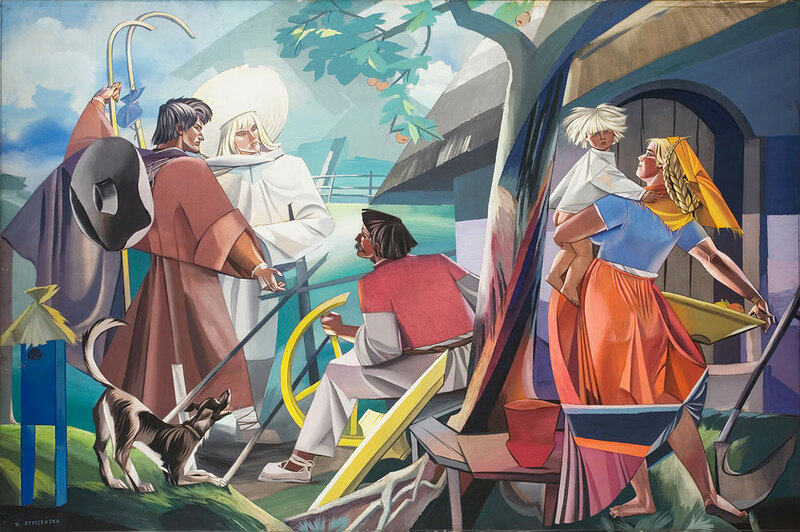 Her 'Angels Visiting Piast' is one of the largest compositions by the artist created on paper in those years. 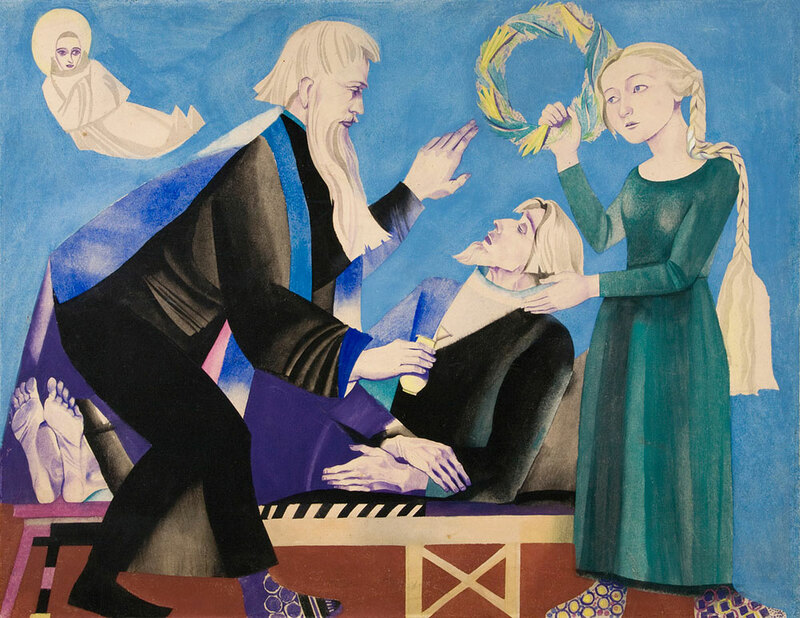 It was the first work by Stryjeńska to be purchased for the Museum collection. 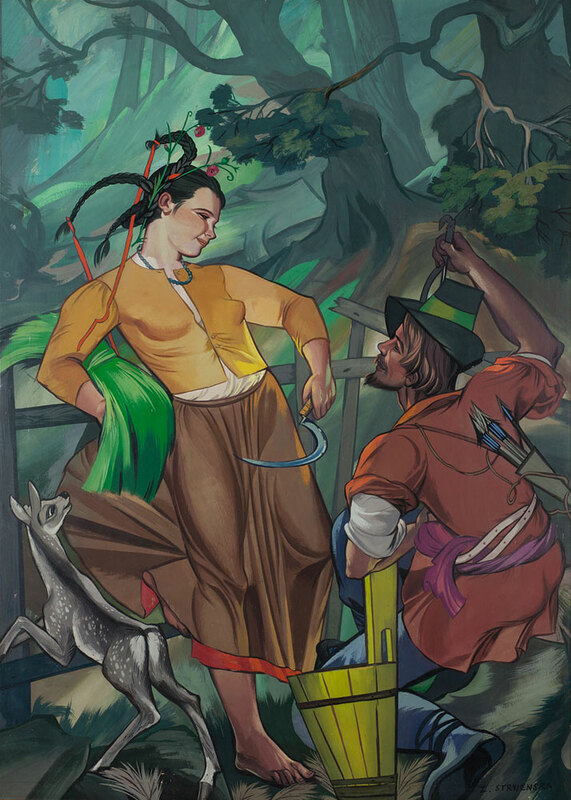 In comparison with her painting from the 1920s, these works are characterized by a slightly schematic nature and less precision in capturing the details and nuances of light than in the previous decade. Text by Światosław Lenartowicz – author of Zofia Stryjeńska's monographic exhibition organized by the National Museum in Krakow in 2008, and displayed in the National Museums in Poznań and Warsaw in 2009.